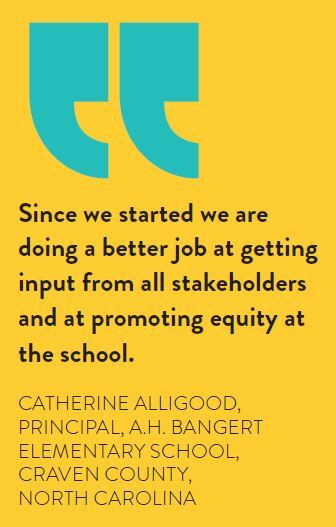 Our professional learning experiences provide school teams with the structured time, process, and support to develop as designers and leaders of transformational schools. Facilitated Design Studios develop knowledge, skills, and mindsets. Design Studios are in-person and bring together a cohort of school teams. These are fun and fast-paced professional learning experiences. While our process is the same for everyone, each Team is focused on their unique challenge + opportunity, resulting in a personalized professional learning experience. One-on-one monthly meetings with a TrueSchool Coach and each School Design Team. We serve as thought-partners as teams problem-solve, solution-build, and move forward fast. Coaching Sessions are virtual. They are highly personalized and provide support to teams to take action and apply Design Studio learnings. Fieldwork is the applied learning: teacher-led actions that occur between Design Studios. Returning to their schools and communities, School Design Teams uncover critical insights essential to building effective solutions and transformational new models. Our work is deeply student-centered and community-centered, meaning stakeholder feedback is at the center of everything we do. Design Studios and Coaching Sessions are led by our certified TrueSchool Design Coaches. 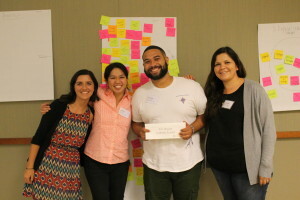 These are experienced educators (often TrueSchool alumni) who have led significant design, innovation, and transformation efforts in their schools.